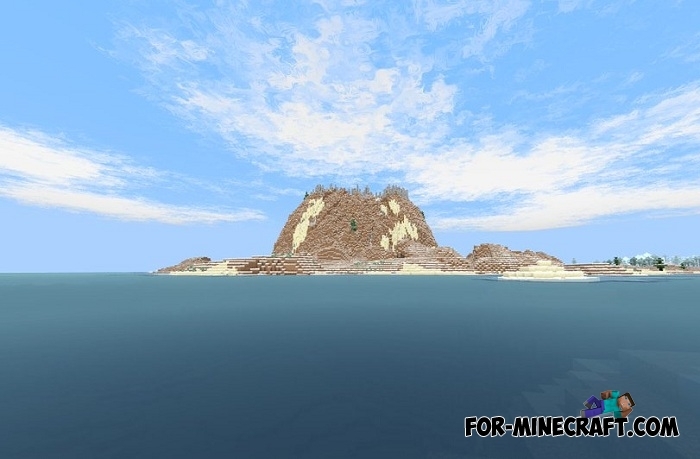 This is a special map because you will never find a volcano in Minecraft PE with a probability of 99.9% (a very similar volcano generation is possible but rarely). Do you have a desire to see a huge and hot volcano or even more to live next to it? 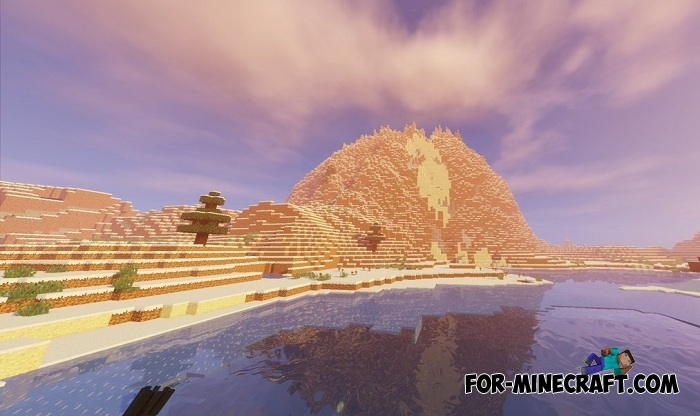 For such cases RyFol built a real volcano, it is quite compact if you compare it with natural volcanoes. You will appear on a small island, where there are trees and a tiny pond. Do not miss the opportunity and try to build an incredible house near the mouth of the volcano. From the windows of your building will open an unforgettable view. Use the stone from the mountain but with care not to spoil the structure. Also, lava and the volcano itself look several times better if you have the SSPE shader installed.